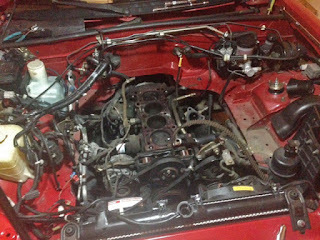 This week the Miata finally went under the wrench and we explored the four cylinder paperweight to get a better understanding of what I did back in June. Step one was removing the head and inspecting the top half of the motor for damage. 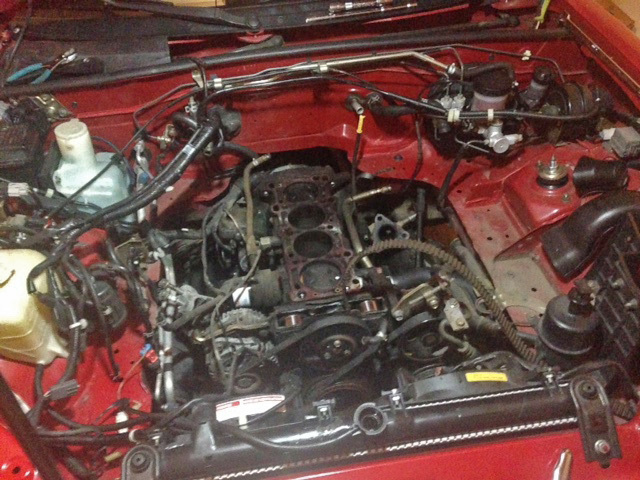 At least getting to the oil filter will be easier for now. From what we can see so far, the head appears to be salvagable and not terminally warped from the overheating experienced on the track in May. Step two will be to take it to a machine shop to get cleaned up and given a more thorough inspection. Some yummy gunk clogging the bottom end and restricting coolant that should have been flowing through it. 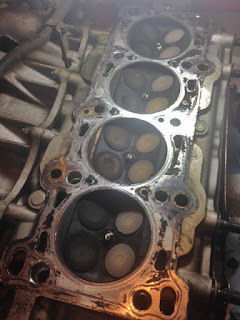 Above we see that there was a clogged passage in the block, which may have been preventing the flow of coolant around the number two cylinder and lead to the over-heating. 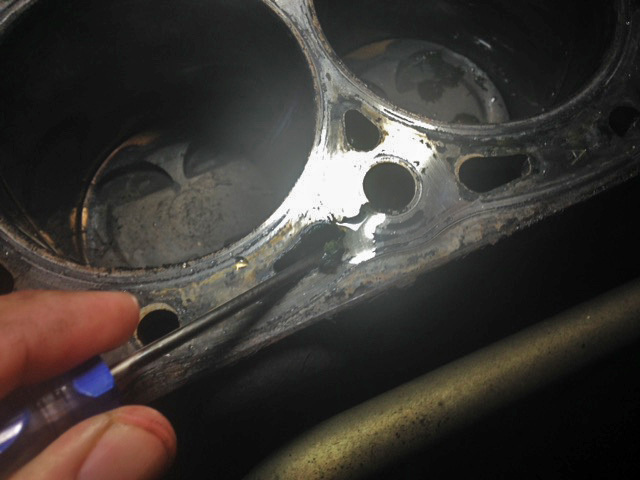 So far we cannot see any additional gunk clogging up the passages flowing through the engine, but we are suspicious. Surface of the under-side of the head appears to not be warped. On the surface everything seems in relatively good shape, so the NMS South team is hopeful for a cheaper re-build budget. The team is working on a schedule to have the Miata back in action for March 2016 and on the road to the Solo Nationals competition in Lincoln, Nebraska next fall! More to come over the winter.